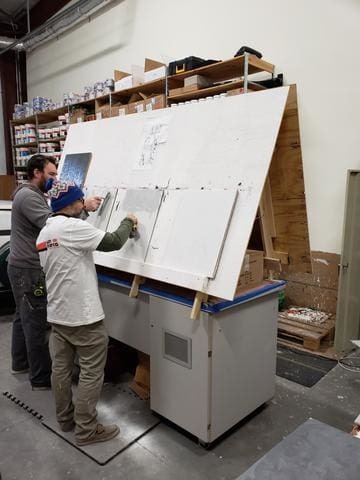 Join us in Madison for a one day or two day training course where we review and teach a variety of San Marco products including; Venetian Plaster, Concrete Art, Marmorino, Textured Metallic Paints and more. Training can be arranged one-on-one or in group sizes of your choosing. Training is carried out at our showroom and warehouse in Madison Wisconsin. A wide variety of products of your choosing can be used with various techniques. Classes are geared towards beginner to intermediate skilled decorators. Refer to our portfolio of materials to see what is available. Thanks for the interest in the class. We can set up a class pretty much any time that fits your schedule. Ryan here from Art Infusion. What are the times and dates of the classes? Would love to try and make it up there while I’m in Indiana. Any dates in particular work best for you in January?